Time to get those gutters in cleaned at your Minneapolis home? 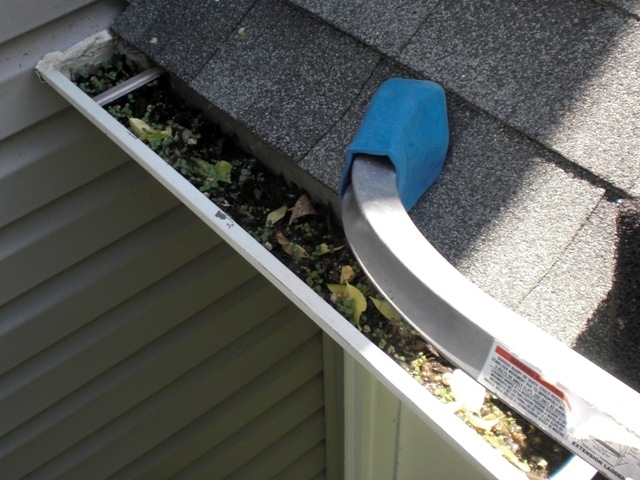 Gutter cleaning in Minneapolis is very important due to the dense tree cover surrounding most homes. Plugged gutters lead to water spilling over your gutters straight to the ground potentially pooling up against your foundation wall. A clean gutter will lead the water away from your house via the downspouts and extensions. When we clean gutters we clean each section by hand ensuring all blockages are removed and placed in a bag which is taken with us at the end of the job. 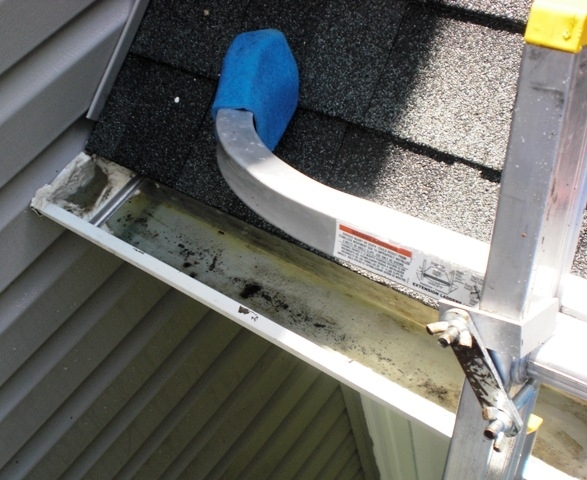 Gutter cleaning is potentially dangerous and don’t you have something better to be doing on your weekend besides scoop stinky debris out of your gutter system? How will we clean the gutters on your Minneapolis Home? The biggest thing when cleaning your gutters is safety, and we are properly equipped to get your gutters cleaned without putting us at risk. When we clean your gutter system we will hand clean each section of your gutters and place the debris into trash bags for removal when we leave your home. Once we are all done hand cleaning your gutters we will flush them out with a garden hose to make sure your gutter system is flowing properly. When to people in the Twin Cities get their gutters cleaned? Well that is a good question and it depends on if you are doing preventative work or spot treatment as some homeowners wait till there is a problem to call. We of course always encourage preventative cleanings since once the problem starts happening you are already putting your home at risk for damage. Most of our preventative customers either have their gutters cleaned in the fall or spring; with fall being the most popular once the trees have shed their leaves for the season. Fall is a better time to get your gutters cleaned since there is little that can plug up your gutters in the winter and in the spring the rains might start before your gutters can be cleaned. What else can RCHS do for me when they are out cleaning my gutters? Well since gutter cleaning requires us to hose out the gutters water usually finds its way to your windows. We do offer a “quick” window clean for our gutter customers that is not as detailed as our full cleans, but at a reduced cost. We promise you that you will be happy to include this service as the value is worth it. What do homeowners need to do while we are cleaning the gutters on your Minneapolis home? Well besides making sure the water is turned on, NOTHING! You don’t even have to be home when we arrive since all work is done on the exterior of your home. The only time we would need you home is if we are doing windows and we need to take the screens off from the inside. How do I get my gutters cleaned by RCHS? Well the first step is by contacting us using our contact form; please make sure to put your full address and phone number. The next step is we swing out and give you a free estimate, you don’t need to be home for this and we can usually make it out within 24 hours. After you have the estimate it is up to you to let me know to get you on the calendar to get your gutters cleaned. Window Washing – We hand clean each window, no poles here we will be inches away from even the highest windows ensuring as near of a perfect job as possible. Gutter Cleaning – Improperly working gutters is more than a minor problem, it could mean water is backing up your roof system or pooling against your foundation which can lead to wet basements. Pressure Washing – Let us clean up the outside of your home by blowing years of grime off your home, patio, deck, screened porch, driveway, and sidewalk.